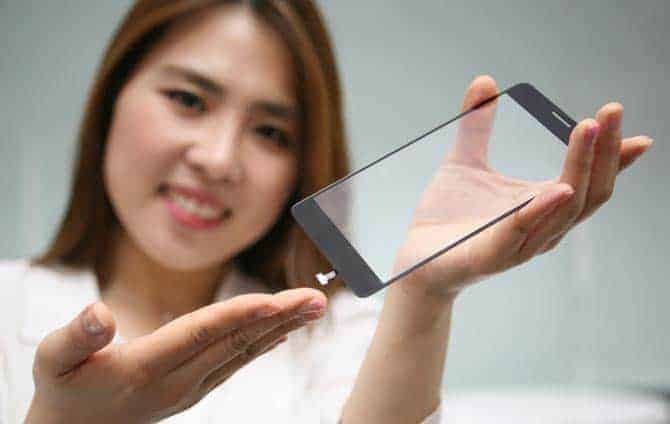 Brands LG LG Revealed Innovative Fingerprint sensor on the Screen Itself! LG revealed an innovative fingerprint sensor today. Well, it is not on the side, nor on the back & it is not a physical button actually. The new fingerprint sensor will lie on the screen itself providing the smartphone design without any compromise. Based on a report from IHS – market research firm, in 2015, it is estimated that approximately 499 million fingerprint sensors are sold globally and the numbers will cross 1600 million by 2020. Today, the rise in fingerprint sensors are not only because of security to the phones but also for monetary transactions using the Apple Pay, Samsung pay etc. Even the companies which are entering into mobile payment market are expanding globally which in turn requires a secure way for transactions through mobile. So, there’s a great need for a definite medium to secure it. Fingerprint recognition is one of a kind which has been using for secure transactions and as per the report from IHS, there’s a global increase in the mobiles featuring fingerprint scanning feature too. But, the whole problem lies in where to place it & what’s the accuracy rate. Most of the smartphones now have fingerprint sensors on the home screen button, on the backside of the phone – below the camera or on the side. But, this type of arrangement has an effect on the smartphone design & form factor. It is not just my opinion, as many of the users have already reported about the accuracy & the problems they were facing while using the fingerprint scanning. So, how to avoid all these issues? Well, why not we place the fingerprint sensor on the screen itself? Isn’t that an innovative idea? Well, LG made it possible. Today, the company unveiled a new kind of design for the fingerprint scanner. It placed the fingerprint sensor module on the phone’s screen itself. This means you can just place your finger on the screen & it recognizes. LG’s New Fingerprint Sensor – How it is made? A shallow furrow of 0.3mm thick has been cut down from the backside of the cover glass & the fingerprint sensor has been installed carefully on it using the proprietary adhesive. As the cover glass protects the sensor from the outside environment, this prevents from any direct contact with water or other liquids. This will also protect from scratches which will surely degrade the accuracy. This arrangement helps manufacturers to provide a sleek design to the smartphones as there won’t be any need of any buttons. In the case of the button type, the fingerprint sensor is needed to be mounted on either a square or circular button, so this made the arrangement to be kept outside the screen, but the new fingerprint sensor from LG is onscreen. Coming to the accuracy level, the onscreen sensor has a false acceptance rate of 0.002% which is very low comparing to the button type. The onscreen fingerprint sensor has a protection from water, scratches etc. while there’s no protection for the button fingerprint sensors. The future smartphones will definitely be cool if all the manufacturers adhere to this new technique of arranging fingerprint sensor. LG has always been showing innovation in their products & the most recent LG G5 is a really good example. Well, we’re expecting the next flagship from LG will surely have this feature. What about you? Drop your opinions in the comments.